Ani DiFranco has shared both her musical and political voice over the course of her 20-year-plus career, and she's set to share some previously private insight into her life thanks to a new book deal. DiFranco is currently working on a memoir, which will be released through Viking — though the arrival date and official title have yet to be announced. According to a statement from the publisher, the book will detail the singer-songwriter's "eventful and radical life," following her story as she left home at age 15, started her own record label and released her first album by age 20. 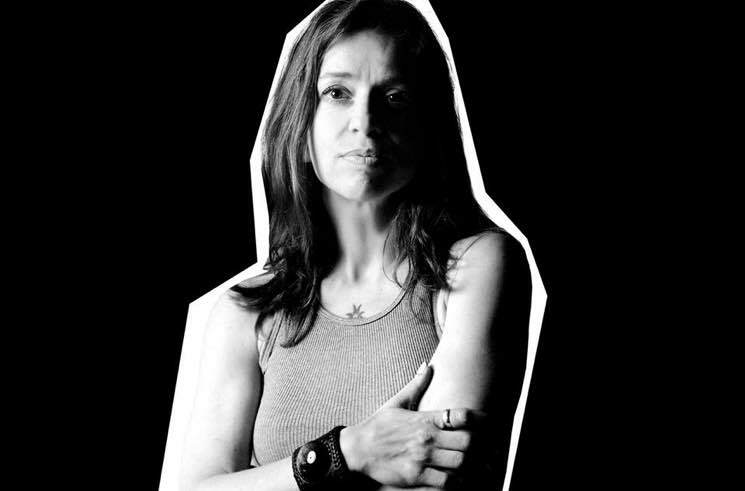 DiFranco is currently 46 and has more than 20 albums under her belt. Her latest album arrived as 2014's Allergic to Water, though she shared a new song called "Binary" last summer, which is expected to appear on an album of the same name later this year. In October, she unveiled another single titled "Play God," which you can hear down below. In a statement from Viking via the Associated Press, DiFranco described the process of writing the book as chipping away at a "huge slab of timeless stone." Ahead of the book's release, fans can get acquainted with the singer and activist by checking out her 2014 answers to the Exclaim! Questionnaire over here.